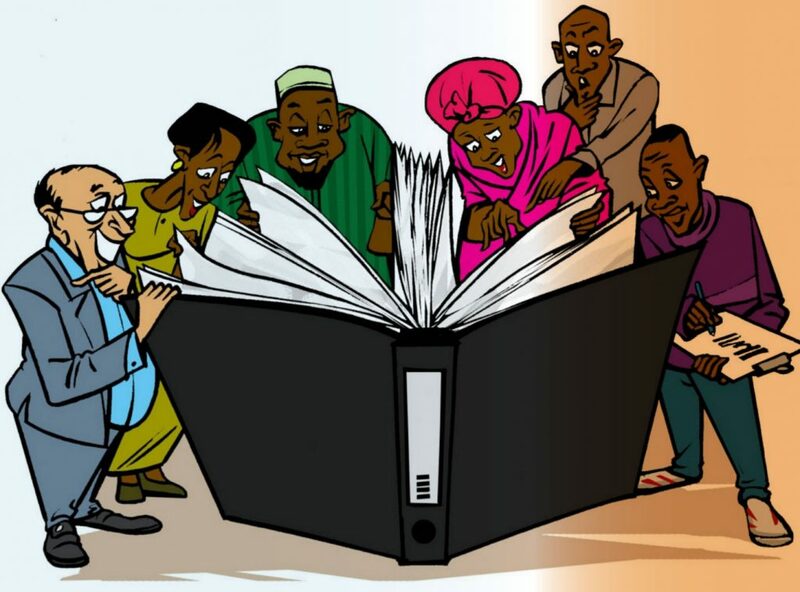 Citizens’ access to information is vital for the promotion of democracy, human rights, rule of law and entrenching accountability and transparency in the state. Without accountability, respect for human rights, rule of law and democracy, the quality of governance would decline. Whereas the legal framework and mechanisms at continental and international level provide models and biding standards that guide governments, whereas continental mechanisms such as APRM and ACHPR provide opportunities for State members to assess their own performance through State report, and whereas these mechanisms are spaces for other stakeholders such as AU State Members and Civil Society to participate in the country review, State members do not follow their obligations. Country reports are not submitted and recommendations are not followed. Eventually, review mechanisms such as APRM are seen tending “to praise countries for their achievements, rather than highlighting governance deficiencies and way forward on how to address them”. Though, it is a recognised trend for African countries, there is a need to assess and document the extent of the gaps which will allow identification of concrete remedies to advance the States compliance. Civil society as motor for social change and watchdog of society can contribute to strengthen the regional and international mechanisms in occupying its devoted space within the mechanisms. In the case of AUABC, CSOs shadow reporting will create incentive for governments to provide their statements against civil society organisations’ statements. This requires a common understanding on the mechanisms and entailed State obligations. In addition, there is a need to assess efforts and progresses in the sense that government need to follow up on implementation of the legal framework and recommendations. As well, Civil Society needs to monitor and advocate for State compliance. In training CSOs on continental mechanisms in collaboration with APRM, ACHPR, AUABC, coaching and mentoring them for their participation in the mechanisms process and providing opportunities for experience sharing, the Civil Society will strengthen its capacity. CSOs will submit regularly status and shadow reports on ATI and FOE as well as attend consultative meetings which will strengthen the mechanisms and make it more inclusive. In return, the mechanisms outputs will inform designs of national campaigns for implementation of ATI standards and recommendations with the aim of advancing State compliance. At national level, there is no better way to improve a law than to test it and use it. Case studies and ATI baseline study in Uganda, Kenya and Malawi from the pilot phase of this project revealed that by equipping citizens with knowledge about their right to access public information and the tools to exercise their right, citizens increase their demand for information and are better in position to question decisions and foster accountability. Learning from the pilot project was also that when public agencies understand the law and are equipped with knowledge and skills to implement it, they are more responsive to citizen needs. Both demand and responsiveness are interdependent as there is no response without demand, in return response providing information are essential to empower citizens to demand for accountability. Building the capacity of CSOs with training, coaching and mentorship on ATI and anti-corruption mechanisms will increase their demand for information and accountability. In addition, the pilot phase demonstrated that media have a critical role to play in disseminating information and bringing focus of the public opinion and politicals, on accountability issues. Media have the power to amplify impact of ATI and citizens’ engagement. Therefore, in training journalists and media professionals on open data journalism will encourage them in raising the public debate on social accountability issues and public contracting. Also, the rise of online tools and platforms for open data and citizens’ engagements needs to be supported in promoting their use by CSOs and citizens. As well in the context of the project’s countries, the dominance of rural population having limited access to internet, it is crucial to raise awareness on ATI and accountability issues in adopting other media platform for dissemination. Radio and physical meeting remain the major sources of information of the biggest part of the population. In addition, experience from the pilot phase proved that knowledge and experience sharing at regional level consolidate effort at national and subnational levels. In sharing opportunities and challenges through case studies, in harmonising and coordinating civil society approach on ATI as a tool for accountability, good practices will be identified and promoted. On the demand side, building the capacity of public servants with training, coaching and mentorship on ATI and whistleblowing with the collaboration of national anti-corruption mechanisms will increase their responsiveness towards information and accountability. Understanding of the regional legal framework on ATI and anticorruption will promote the compliance of national institutions with regional instruments as well as influence for implementation of the recommendations. After conducting ATI institutionalisation assessment of at least 3 public entities per country with regard to SDG 16.10, the project will support the 3 government entities in each country to develop ATI implementation plans. In addition, experience from the pilot phase showed that multi-stakeholders platform enable sharing of concrete cases on accountability issues between citizens, public entities and anti-corruption mechanisms, but also create opportunity to identify gaps in the anti-corruption system and programmes with a particular focus on citizens participation. In promoting the experience of national good practices at regional level in collaboration with the AUABC, it will create positive incitation in integrating ATI in anti-corruption mechanisms at national level. The four project’s countries have legal framework on ATI, the Ugandan Access to Information Act (2005), the Kenyan Access to Information Act (2016), the Nigerian Freedom of Information Act (2011), and the Malawian Access to Information Act (2016), respectively. However, AFIC State of ATI in Africa 2017 revealed gaps in the implementation of laws. During the implementation phase, the main thrust of the programme will be to advance government compliance with regional standards on ATI as enshrined in the African Charter on Human and Peoples’ Rights and the African Charter on Democracy, Elections and Governance; to enhance citizens’ demand for accountability through the use of their right of access to information, and improve public institutions responsiveness towards citizens’ demand for accountability by December 2020. By coordinating upstream efforts from continental framework, policy level and downstream from community level, in engaging two powerful political lever, the regional institutions and the citizens, the project will strengthen implementation of transparency and accountability practices to enhance good governance at national level. Results of the pilot phase of the project Enhancing good governance through citizens’ access to information implemented by Africa Freedom of Information Centre (AFIC) in partnership with its members in Uganda, Kenya and Malawi and with support from the Swedish International Development Cooperation Agency (Sida) demonstrated that Access to information is crucial to empower citizens to demand for accountability which ultimately impact on governance performance. The project will be implemented by Africa Freedom of Information Centre with the collaboration of partners in each project’s countries: Kenyan Section of the International Commission of Jurist (ICJ Kenya) and Article 19 East Africa in Kenya, Media Right Agenda (MRA) and Public and Private Development Centre (PPDC) in Nigeria, CHRR in Malawi, Human Right Network (HURINET) and KICK CORRUPTION OUT OF UGANDA (KICK-U) in Uganda.